“Knowing if you have the right prospect is straightforward: The prospect has to have the authority, budget and need for the sales offering. Qualifying may also address the timing of the need, and whether the offering will address a need or a want for the prospect. But the key is whether the potential customer is likely to buy“. Every small-business owner wants more customers, but not every customer is right for every business. 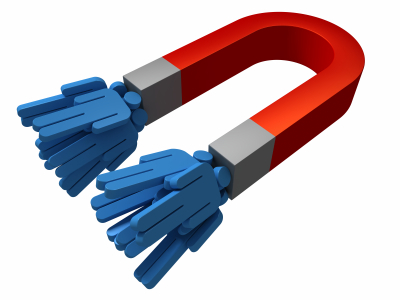 Qualifying prospects is, in some ways, as important as generating leads or even closing sales. Selling to the wrong customer can lead to reworks, refunds and reputation damage, among other costs. “It’s a waste of time if you don’t [have] quality sales prospects,” says Jayna Cooke, CEO of EVENTup, a Chicago online marketplace for event and meeting spaces. When EVENTup’s sales reps spend too much time calling prospects who aren’t likely to buy, it cuts into the company’s profits, she explains. Inadequately qualified prospects can also lead to customer dissatisfaction and raise customer churn rates, Cooke adds. “If we’re not providing them value, they’re not going to stick around,” she says. When a sales pitch targets a well-qualified prospect, it can not only avoid those negatives, it can reduce the time required to sell and increase profits. Atlanta-based marketing coach Melissa Galt claims one of her best moves in her previous career as an interior designer was to start strictly qualifying prospects before taking them on. “My workload dropped in half and my income doubled over the course of nine months,” Galt says. Knowing if you have the right prospect is straightforward: The prospect has to have the authority, budget and need for the sales offering. Qualifying may also address the timing of the need, and whether the offering will address a need or a want for the prospect. But the key is whether the potential customer is likely to buy. To set up a qualifying process, start by knowing what you want when it comes to prospects. Do this by identifying your most profitable customers and isolating several key characteristics, such as sales revenues or industry, that differentiate them from less profitable customers. Then look for prospects that fit this profile. Many sales organizations use the phone for the initial qualifying step. Sales reps are given or asked to develop a list of questions designed to find out whether the recipient of the call has the authority, budget and need for the offering. If the prospect passes phone qualification, the salesperson may attempt to schedule a face-to-face meeting. However, because phoning takes time, it’s vital to prioritize prospects before dialing and approach the most likely candidates first. To do this initial screen, many salespeople turn to databases. Cooke claims she’s had success using general businesses information sources such as Hoover and Yelp when working at other companies, but she doesn’t recommend purchasing lists of pre-qualified leads. “Spending time to hunt a little is more effective and cost effective in the end,” she says. Social media is another good source for qualifying information. Searching Facebook and LinkedIn profiles and Twitter feeds for keywords relating to your offering can identify prospects with an interest in what you have to sell. Galt asks all prospects to fill out a detailed assessment several pages long. This helps filter out people who aren’t committed enough to do the assessment and provides her with the detailed information she needs to determine whether a given individual is a good fit. That being said, the qualifying process is also getting easier as it becomes possible to gather additional background about prospects. “As life shifts more online, there will be more information available, more ways to qualify and more sources to help you target what you’re looking for and spend less time digging around,” Cooke says. The bottom line on qualifying is that it can improve the efficiency of selling activities, without actually replacing them. “Nothing can replace that phone call,” Cooke says.